Anmerkungen Atari Football gilt als das erste Arcadespiel, das einen Trackball zur Steuerung nutzt. 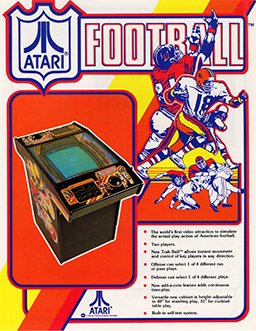 Atari Football is the new generation in video sports simulation. For the first time players can experience the challenge and the competitive excitement of playing football so realistically that it's like being there.